Wine drinking, like any upstanding pastime, requires a little practice. Where better than Sapling, Dalston’s neighbourhood wine-bar? Championing grape’s greatest achievement, its weekly-changing 36 wine-by-the-glass menu pours mostly biodynamic and organic wines. 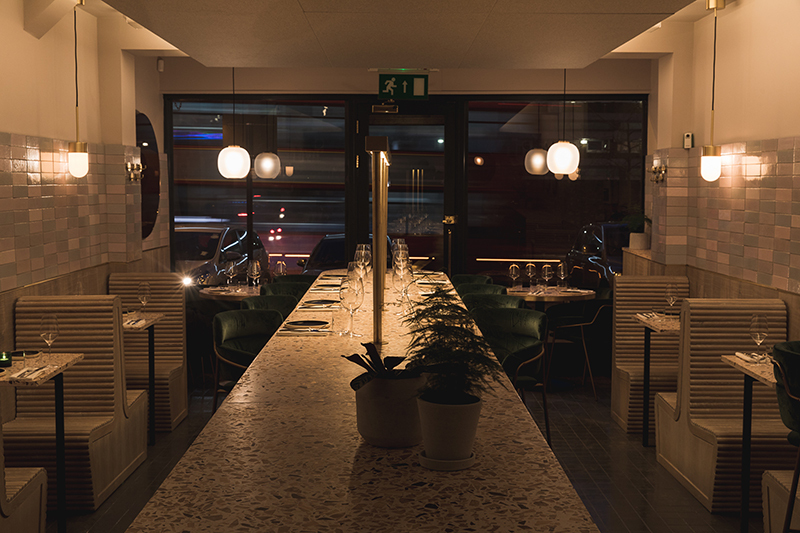 From decor to insight, the Italian-style enoteca is warm and intelligent – but don’t expect any pretence. Sapling is about good people enjoying good wine; while it may not take centre-stage, food is anything but an afterthought. A handful of tasty small plates: locally smoked salmon to chicken terrine with braised tropea onion, compliment the careful curation of sapid, light and earthy drops. So raise a glass to good times – at the new local.